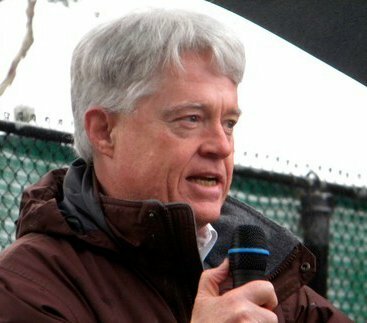 In an article in the August 25, 2012 edition of the Santa Cruz Sentinel, Gary Griggs, who is Director of the Institute of Marine Sciences and Long Marine Laboratory at UC Santa Cruz, talked a little bit about King Canute. Canute was a celebrated King of Denmark, and was "wise" as well as "powerful." 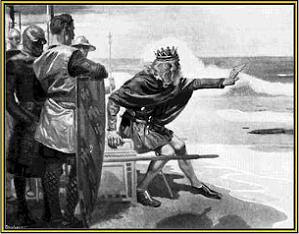 Grigg's point about Canute is that he knew the limits of his kingly and human powers, and proved those limitations by demonstrating that no human being can hold back the sea. Griggs notes that Canute's wisdom has not yet been widely absorbed or internalized. We are still trying to hold back the tides. Thinking of Canute's demonstration as a metaphor, with wider applicability, we would be wise to understand that we not only can not hold back the sea, but must live always subject to the world of Nature, and that our works cannot, in the end, defy its powers.